A national day of action has been called on March 2 2015 against Maximus, the company set to take over from Atos running the despised Work Capability Assessments (WCAs) for sickness and disability benefits. These crude and callous assessments have been used to strip benefits from hundreds of thousands of sick and disabled people after a quick computer based test ruled them ‘fit for work’. A growing number of suicides have been directly linked to this stressful regime, while charities, medical staff and claimants themselves have warned of the desperate consequences for those left with no money at all by the system. 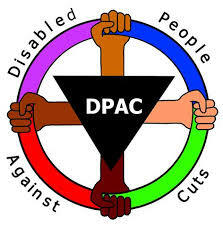 In a huge embarrassment for the DWP, the previous contractor Atos were chased out of the Work Capability Assessments after a sustained and militant campaign carried out by disabled people, benefit claimants and supporters. In a panicky effort to save these vicious assessments, Iain Duncan Smith hired US private healthcare company Maximus to take over from Atos this coming April. This is not the only lucrative contract the Tories have awarded this company. Maximus are also involved in helping to privatise the NHS, running the Fit for Work occupational health service designed to bully and harass people on sick leave into going back to work. Maximus also run the notorious Work Programme in some parts of the UK, meaning that disabled people found fit for work by Maximus may then find themselves sent on workfare by Maximus. There is no greater enemy to the lives of sick and disabled people in the UK today than this multi-national poverty profiteer who even are prepared to run welfare-to-work style schemes for the brutal Saudi Arabian government. Maximus have boasted they will not face protests due to their involvement in the Work Capability Asessments and have even stooped as low as hiring one prominent former disability campaigner on a huge salary in an effort to quell protests against their activities. We urgently need to show them how wrong they are and call for all disabled people, benefit claimants and supporters to organise against this vicious bunch of profiteering thugs. Please organise in your local area and spread the word. A list of Maximus offices where they provide welfare-to-work services can be found here. Maximus are likely to use the same assessment centres as Atos while a list of their premises which provide (privatised) healthcare services can be found here. In Central London protesters will gather outside Maximus HQ on at 1pm or 1.30pm. Level 1 Quuen Anne’s Gate, London SW1H 9BU, just round the corner from the DWP. Look out for online action to be called on the same day.